Janice’s artistic journey began in cake design and expanding on her experiences and successes with this field she transitioned into the world of fine art. She grew up in BC and moved to Alberta a number of years ago. She has 2 distinct styles with a wide variety of mixed media to create dramatic paintings full of texture and colour. 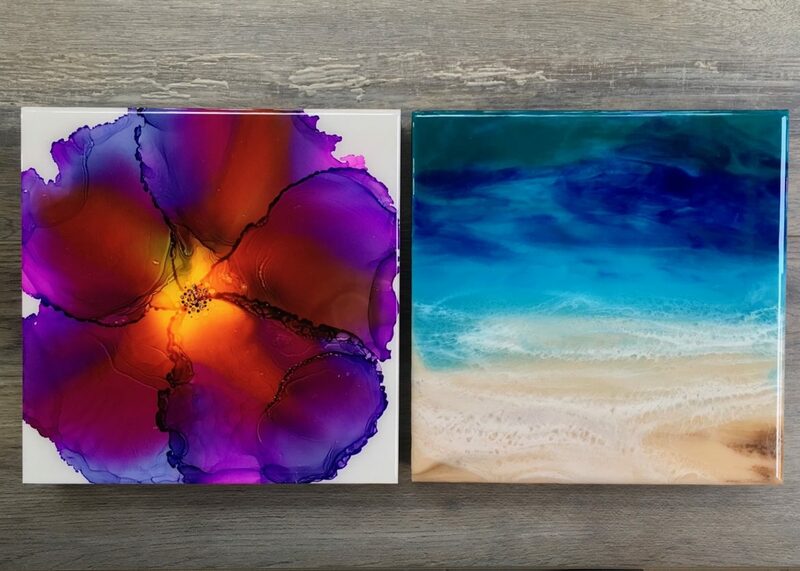 Her resin work is inspired by water; a view from above or sitting on a beach and her ink work is inspired by all verities of flowers. Both styles are dramatically different yet complement each other. Artistic talent runs through her family so it seems natural that she would become one herself; although she did not discover her passion for art until she was an adult. It has brought so much to her life and she is thrilled to share it with her collectors.